On first impression, Michele Zukovsky might not strike you as anyone particularly notable other than being a fairly energetic, witty, and self-deprecating 70-something. That seems to suit her just fine. Rather than talk about herself or her career, the Los Angeles Philharmonic’s Principal Clarinet is more eager to share photos of herself as a proud grand-aunt, crawling on all fours as two young children hang all over her. “I’m really just an old hippy,” she confesses, just as Eric Clapton’s music begins playing in the background seemingly on cue. Yet if anyone born in Los Angeles were pre-destined to be one of the world’s truly great clarinetists, Ms. Zukovsky would be it. Her father, Kalman Bloch, was Principal Clarinet of the LA Phil for over 40 years, half of that time spent with her as the other Principal. Her mother, Frances Bloch-Heifetz, was an artist and a relative of legendary violinist Jascha Heifetz. This Sunday will mark the final concert Ms. Zukovsky will play with the LA Phil. Her first performance with them was in 1961, and she has served as Principal for almost her entire tenure. To put that 54-year time span in perspective, consider that when she joined the orchestra, Ronald Reagan was still a Democrat and hosting the General Electric Theater on TV, John Glenn was about a year away from being the first American to ever orbit the Earth, and a 25-year old Zubin Mehta had not yet become Music Director in LA. There was no Internet, there were no cell phones or faxes, in fact, people would recognize “Pennsylvania 6-5000” as both a song AND a phone number. She has seen, heard, and done a lot during those nearly five-and-one-half decades: got her orchestra job as a teenager; served as a pioneer for women as principal players in professional orchestras; changed instruments ten years into her career; played for five Music Directors; performed numerous premieres including being the soloist in the world premiere of John Williams’ Clarinet Concerto; and much more. She’s seen the LA Phil rise from a good provincial orchestra to a truly world-class ensemble, and has been a major contributor to that process. As I’ve said before, I hope the LA Phil and its donors endow the Principal Clarinet chair in her honor because she deserves it. Recently, I had the opportunity to sit down with her over lunch. We chatted about her career, dispelled some myths, and talked about her plans for the future. She was candid with her opinion about many topics and people, while taking great pains not to offend even when there was seemingly nothing to be offended about. It was as casual and easygoing a time as one could hope, with Ms. Zukovsky often making a point to ask about my background and being generous with her time in general. In fact, if not for another appointment on my schedule and a planned lesson on hers, we probably could have continued our banter. Here is much of that conversation . . .
CK Dexter Haven: You’re a local girl in the truest sense, aren’t you? 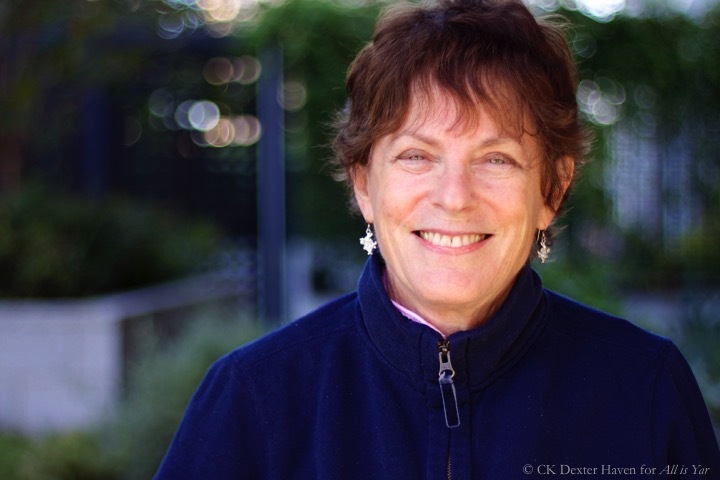 Michele Zukovsky: I lived my whole life in the Echo Park / Silver Lake area. I got offers to play in other orchestras, but my comfort zone would have been upset, so I just stayed here [laughs]. I’ve got called to play in Paris, New York, everywhere. I love the idea of traveling, but I like to go home afterwards. I went to John Marshall High School, which is right around here. Got to play at USC when I was 18, then joined the Philharmonic. It’s amazing: I’ve lived and worked within an eight-mile radius my whole life. I just like a very simple life. CKDH: You grew up, of course, with your father playing in your house. MZ: Yes, with my father playing and his students too. I grew up with the sound of the clarinet in my ear, that’s for sure. CKDH: Did you ever grow up thinking you’d play anything besides the clarinet? MZ: Um, no. I mean, really, no. My life was so set. My father had clarinets lying around and one day I said, ‘Oooh, let me try ‘em,’ and that was it. I took to it like a duck to water, basically. CKDH: For a lot of people, having their parent teach them something doesn’t work. I tried to be my son’s first piano teacher, and that went horribly. MZ: Yeah, but that’s because you were father and son. Father and daughter, that’s okay. We were very similar in many ways, and had the same sense of humor, so it worked out. CKDH: At what point did you decide you wanted to make a life playing clarinet just as he had? MZ: I didn’t choose it, it just happened. I was one of these happy-go-lucky people who never thought ahead. I just lived — and still live — in the moment, so I hadn’t ever planned on being first chair in the LA Philharmonic or that kind of person. I just thought I’d be a teacher or whatever, you know? Just hang out. CKDH: Was there any particular reason you chose to go to school at ‘SC, besides the fact that it was within an eight-mile radius? MZ: [laughing] Because it was a name I knew, I just tried out and got a full scholarship, so I said, “Okay, I’ll just play there.” I was just that kind of person. I took steps that weren’t planned, but evidently it was destiny. I was just following a path that was laid out before me. So that’s what happened. I didn’t have that hunger, I didn’t have that, “I’ve gotta make it” personality. It just happened. MZ: No, my mother had to talk my father into letting me audition for the job [at the LA Phil]. I’m just one of these people who is sorta kinda on this meditational plane. I don’t think ahead that much. I just think, “Okay, I’ll just pick up the clarinet,” or “okay, I’ll just practice for a month then try out for the job” . . .
MZ: Yeah [laughing], I can’t believe to this day that this is how it happened. My whole life happened that way. CKDH: You were a sophomore at ‘SC? MZ: No — well, it was my first year there. I went to LACC for a year when I was 17, then when I was 18 I went to USC. Then 10 weeks after that, I got the job. I tried to maintain the job at the Philharmonic and go to USC, but I got so sick with infectious mononucleosis. I said, “Dad, I can’t go to college.” I just learned everything on my own. You know, I teach there now and I’m not sure they even know I that I don’t have a degree! [Laughs] I just followed the path, I didn’t push. CKDH: And it worked for you. MZ: It worked, it really did. I was just one of these lucky people. CKDH: So that was 1961 and Georg Solti had just announced that he wasn’t taking the Music Directorship. MZ: He wasn’t coming, which was really great for me because he might not have hired me! A committee hired me. I played the audition at the Hollywood Bowl behind closed doors, and they didn’t know who was playing, so it was a fair audition. CKDH: Was your father on the committee? MZ: I don’t know. I think he was not. CKDH: But you hear stories from that era of other musicians not going through a committee. I think Roger Bobo [tuba great and her former colleague at the LA Phil] mentioned that he got the job by basically just auditioning for Zubin Mehta, and Zubin gave him the job. MZ: That’s the way it was done. Sometimes, I think it is better that way because a lot of people who audition nowadays have to fulfill all desires: they have to play in tune, they have to play in time, they have to play within a certain box or else they aren’t going to move ahead. And some of those wilder, more interesting individual players, like Roger Bobo or myself or whoever, would not have made the finals. I call them “lopsided players.” Those kind of guys are the ones that perk up your ears but may not do everything great, like my father. He tried out for Otto Klemperer, and there were only two people, him against one other guy. He just played while Klemperer was at the piano, and he just played some Wagner or some solo piece. Klemperer heard him and just hired him. He didn’t play one single excerpt from the orchestral repertoire. Taking four lines of Tchaikovsky or, um [thinking] . . .
MZ: Exactly! Not always the best way to find the best musician. CKDH: So did you play excerpts when you auditioned? MZ: Yes, I did play excerpts. Actually, during the audition, I made mistakes. In Peter and the Wolf, I made a mistake. Yet they heard something they liked, and I still ended up [getting the job]. Today, the person who made that mistake would not move up. CKDH: You’ve sat on audition committees, I’m assuming. MZ: Not for very long, actually. I don’t like all that committee stuff. But I did sit on a few. CKDH: So when you did, did you provide input on the excerpts at least? MZ: For the clarinet auditions? Sure. The audition system itself is flawed, but it’s the best we got. 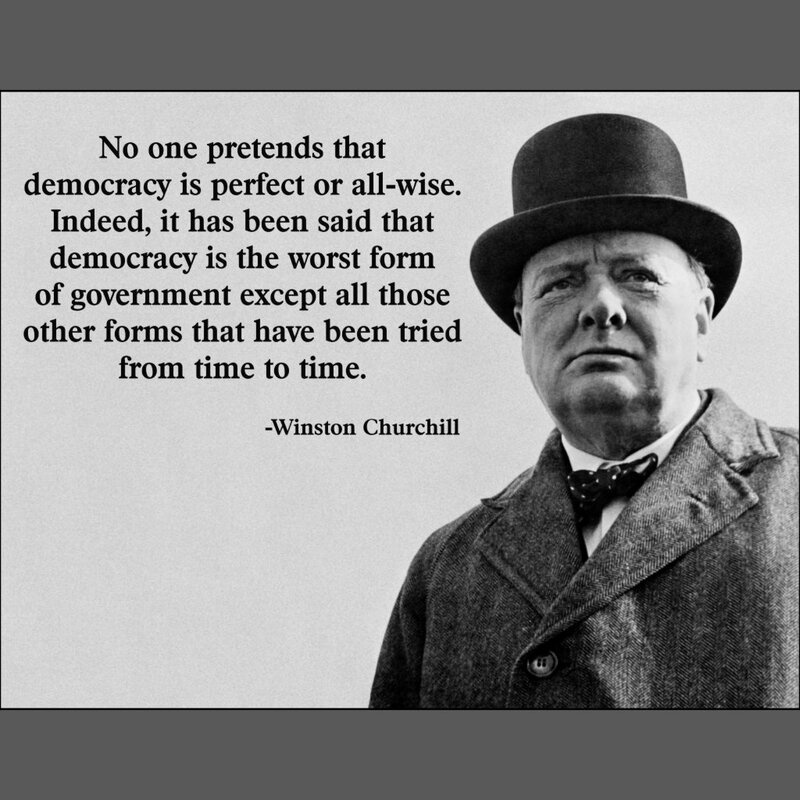 CKDH: Like democracy according to Winston Churchill? CKDH: So you were in the orchestra for a few years as a section player before you got promoted. MZ: At some point, Zubin decided that he wanted to have co-principals in all the sections. Mostly, he decided to do that because he thought some of the principals were not as strong as the section players, so he thought it’d bolster the sections. I didn’t like the idea at first, but he did. So my dad and I shared duties as co-principals. CKDH: So back when there were two principals, before Burt Hara joined as Associate Principal, you would often play 2nd chair instead of first because the official 2nd clarinet is also the official E-flat clarinet at the LA Phil. How did you like doing that? MZ: That was fun. Sometimes I’d just rather do that. You can just go there and play and leave. You don’t have to get a great reed. Same with Burt, has told me that he likes getting to play 2nd sometimes. He’s very casual. MZ: That’s true, very true. This guarantees that he has some nice solo work and also can spend more time with his family, probably even prolong his career. CKDH: You’ve seemingly had a consistently excellent section over the years, including now. MZ: Yes, David Howard has been wonderful, and Andrew [Lowy] has been a fine addition. CKDH: And you’ve specifically played with some fantastic principal players: your father, Lorin Levee, and now Burt. Can you tell me a little about each of them? MZ: My father was a naturally great musician with a gorgeous sound. He also was a little bit of a lopsided player in that his intonation was sometimes a little touchy, but it was worth it for what you got out of it. Gorgeous sound. The way I play is very much an extension of how he played; I really don’t know where my father ends and I begin. CKDH: I’ve heard stories of people who said they heard about him when he was still just a teenager. MZ: Oh yeah, he was very famous, he soloed with the Chicago Symphony back then. After a while [of playing together], I looked at a new piece of music and looked at him and say, “Lorin, I don’t want to bother learning this, it’ll take me a month but it’ll take you only a couple days. Will you take it?” And he’d say “Okay.” He was just one of those kind of guys. He was a great colleague. MZ: He’s a prince, an absolutely incredible guy, and an incredible player. I had really wanted him to try out for first chair [at the LA Phil’s recent audition for a new Principal Clarinet]. I’m still a little disappointed he didn’t. CKDH: Well, when the orchestra settles on someone to hire as the new Principal, they’ll have two outstanding players again. CKDH: I think many people were surprised he’d actually take an audition to come to LA as an Associate Principal in the first place. Tags: Burt Hara, Kalman Bloch, Lorin Levee, Michele Zukovsky, Zubin Mehta. Bookmark the permalink.